ITNBluegrass (Independent Transportation Network) is a local affiliate of national nonprofit ITNAmerica. 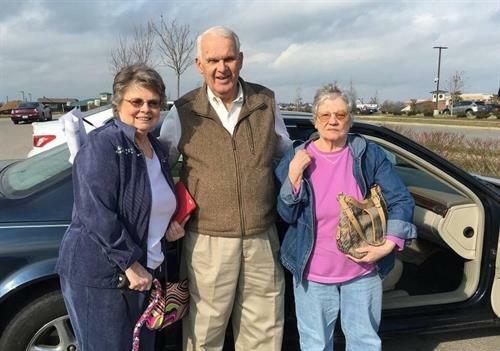 Drivers provide safe, affordable, dignified transportation 24/7 to people 60+ and adults with visual impairments anywhere in Fayette and northern Jessamine Counties and Versailles in Woodford County, KY. Since starting ride service in September 2008, we have delivered more than 70,000 rides to hundreds of seniors. Memberships and fares cover approximately half of the revenue needed to support the service; we fundraise for the rest. Our office is located in Arlington Christian Church at 1206 N. Limestone, Lexington, KY 40505. If you would like to stop by in person, please give us a call at (859) 252-8665.